Reconditioned Rainbow D4 Bagless Canister Vacuum Cleaner with efficient Water Filtration Technology and a self contained Prolux Shampooing System. Comes with 18-Piece GV PRO tool kit and industry leading Wessel Werk electric power-nozzle kit. This power nozzle kit has an on/off button on the handle to easily switch between carpet and hard-floor surfaces reducing the number of times you have to change tools. Powerful L.E.D. headlight and height adjustable power-nozzle ensures you pick up every last bit of dirt even in the darkest corners, on any surface. The Rainbow vacuum uses a Water Filtration system to keep the air and motor clean. The Prolux storm will give you professional cleaning results without the expense and hassle of hiring someone! Simply fill it with water and solution and vacuum the way you normally would. The Storms floating motor driven brush roll will take care of the rest. Water filtration, GV Top-To-Bottom complete rebuild process and quality construction allow it to come with a 5-year limited motor warranty, and 2-year limited unit warranty. The GV Rebuild Process includes: Complete sanitation of entire unit and any reconditioned items included. 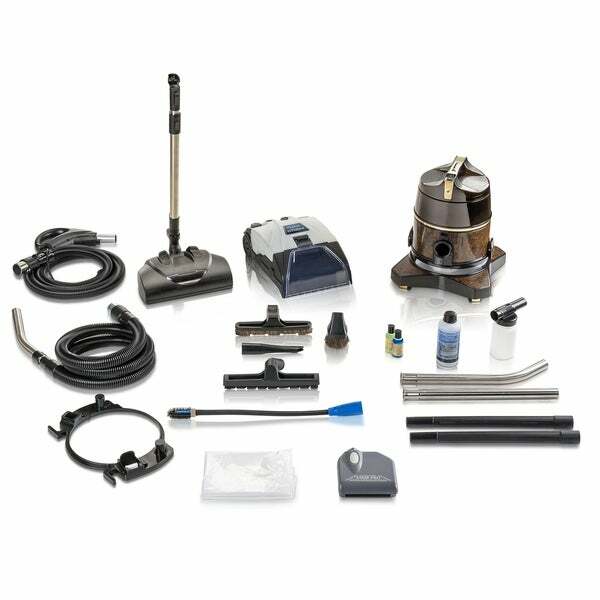 Replacement of any worn parts with aftermarket items designed to fit Rainbow vacuums. Also includes many quality GV parts and accessories such as tools, wands, hoses and 2 quart water bowl. We are in no way associated with the Rexair company, and this was rebuilt by GV and not the Rexair Company. Rainbows are perfect for any home large or small. Any floor type from carpet to hard floors. Long hose reach and included tools makes cleaning any stairs a breeze! Effortlessly handle any other cleaning job around the home with the on-board GV PRO 32mm Attachment Set includes many new quality aftermarket parts and accessories, made to fit Rainbow Vacuums which includes the Crevice tool for all your edge cleaning and hard to reach areas, the Duster Brush/Upholstery tool for all your furniture, and with the extra long reach from the GV hose/wand, you can dust your ceiling fans with ease. Hygienic, bagless design, Powerful, efficient, low center of gravity motor and water/dirt basin, Water Filtration, 5-Year warranty, 5 high end cleaning accessories, and a large cleaning range. The Rainbow D4 is built to be the most used appliance you own. I have always wanted a rainbow vaccum but did not want to pay the high price for one.